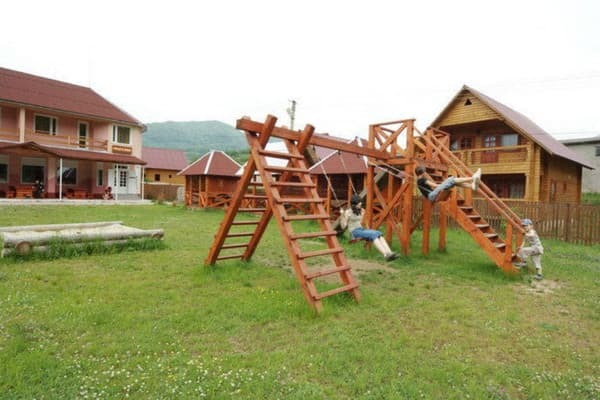 Hotel Bereginya is located not far from the center of Zhdenievo village, 15 km from the Kiev-Chop highway. The hotel is a 2-storey modern building, on the ground floor of which there is a cafe-bar and a grocery store, on the second floor - 9 single and double rooms. 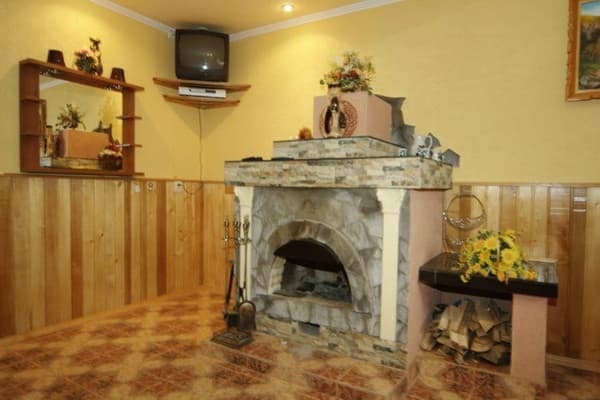 Each room has a TV, refrigerator, electric kettle, dishes, bathroom (toilet, shower). 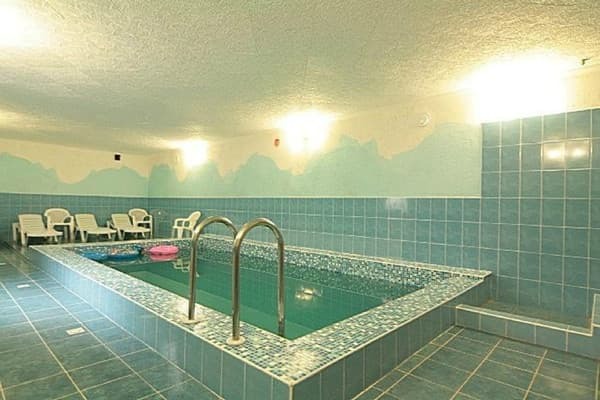 The hotel has a large indoor heated pool. Also to the services of residents - a bath, as well as towels and sheets are included in the price. 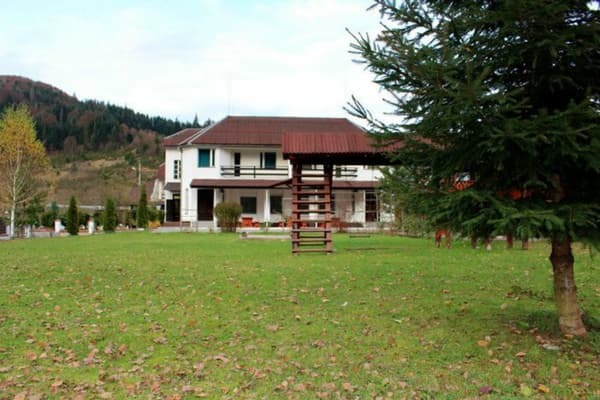 The hotel "Bereginia" has the opportunity to choose and book any excursion to the famous resorts of Transcarpathia: Mukachevo, the high-altitude ski resort of Volovets, to the waterfall Shipot and to other famous places. Ski rental is available on site. The nearest ski lift is 1.5 km away. Prices may change, you need to clarify the information with the operator. Description of the room: Cozy 1-room apartment, which has everything you need for a comfortable stay: 5 single beds, a wardrobe, a bathroom. Description of the room: Cozy 1-room suite, which has everything you need for a comfortable stay: double or 2 single beds, TV, electric kettle, bathroom (WC, shower). Some rooms have an extra bed - a cot. Description of the room: Cozy 1-room suite, which has everything you need for a comfortable stay: a double bed, a sofa, hangers, a bathroom. 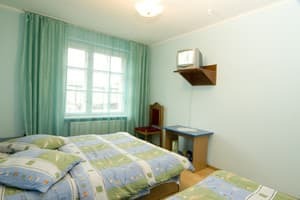 Description of the room: Cozy 1-room suite, which has everything you need for comfortable living: double and single beds, TV, electric kettle, bathroom (toilet, washbasin, shower). 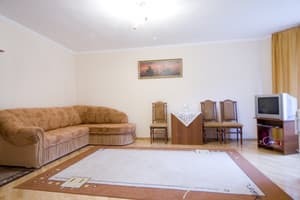 Description of the room: A cozy 2-room suite with everything necessary for comfortable living: a living room (folding couch - 2 extra beds, TV, bedroom (double bed), refrigerator, electric kettle, tableware, bathroom (WC, shower). 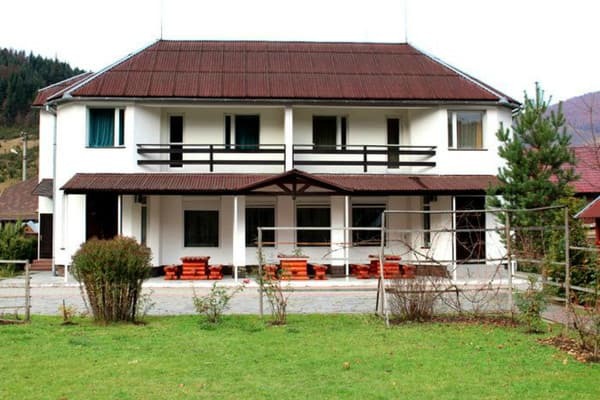 The hotel "Bereginya" is a restaurant, which serves dishes using organic products grown on site. 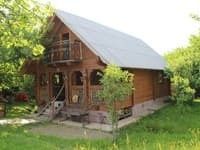 Hotel "Bereginya" is located in the village Zhdenievo, Zakarpatskaya region, near the railway station Volovets and 15 km from the route Kiev-Chop, 1500 m from the ski lift. Trains Uzhgorod direction - to the station. Volovets, then by bus (except Saturday and Sunday) to Zhdenievo. By car: on the highway Kiev-Lviv-Chop (E-50 / M-06), for p. Turn the Lower Gates to Zhdenievo.